Residential restorative garden. 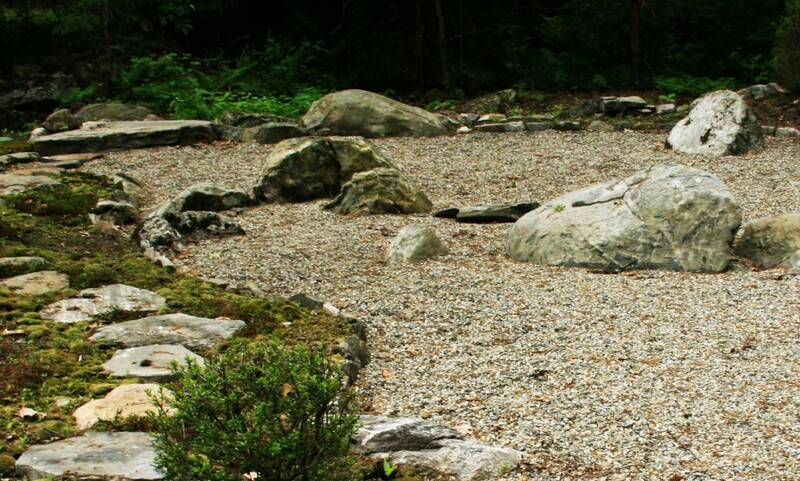 Karesansui (: dry landscape) style Japanese garden was designed in a recessed part of backyard of a single-family residence. Several natural boulders, representing islands, are scattered in a kidney shaped gravel surface representing ocean. 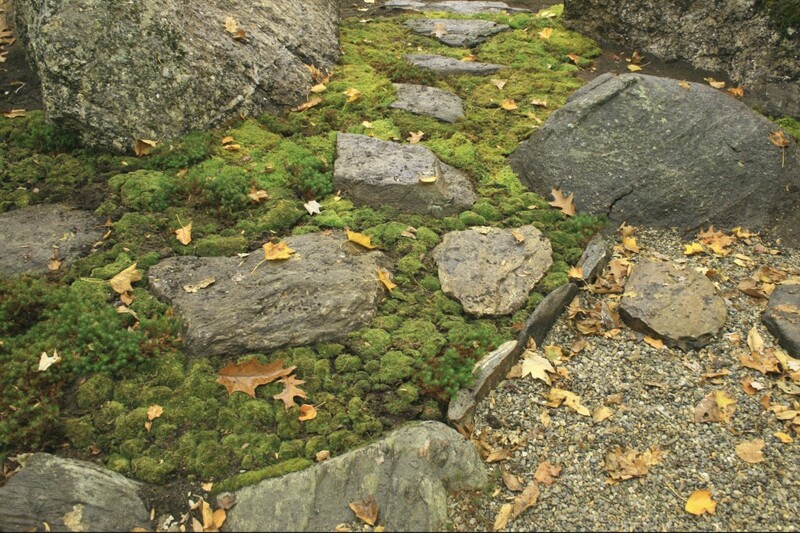 A meandering stepping stone path on rich moss ground continues along the edge of the imitated ocean. 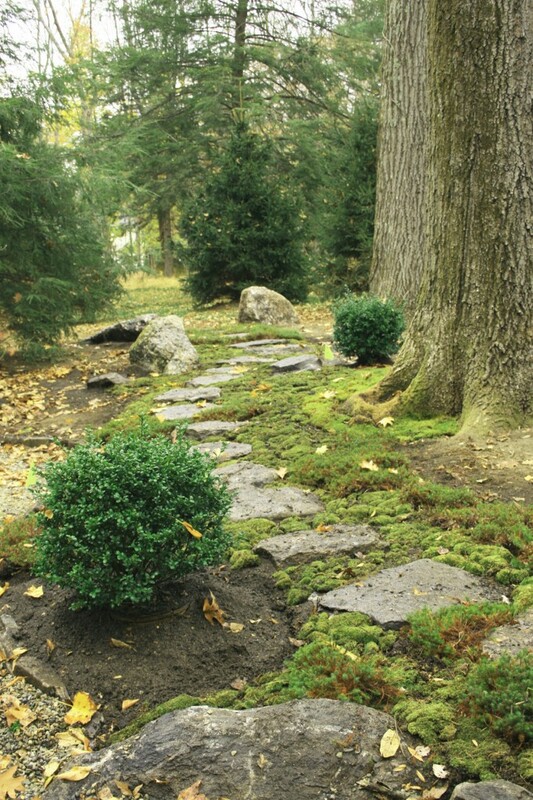 Humble planting was designed intentionally so that a person who walks on the stone path feels as if he is in a quiet forest even though it is a backyard. “Shityu No Sankyo (Retreat in A City)”, one of the design principles of Japanese tea garden, was applied to this project. The garden provides visitors Zen state of mind and relaxation.